Idahoans give the state’s school system a mediocre report card in a new statewide survey. But they feel better about their local schools. “In sum, Idahoans see room for improvement in the quality of K-12 education in the state,” Boise State University researchers said in their annual Idaho Public Policy Survey, released Thursday. Researchers asked more than 1,000 survey respondents two similar questions — one that addressed the state’s K-12 system as a whole, and a second addressing local K-12 schools. The results aren’t necessarily a surprise, said report co-author Jeffrey Lyons, survey research director for Boise State’s Idaho Policy Institute. Researchers see a similar trend when they ask voters to rate Congress — and then ask about their local representatives. But the Boise State numbers suggest local educators are doing a good job of engaging with patrons, he said. As in previous years, respondents rated education as the most important issue facing Idaho. When respondents had to make tradeoffs, the numbers changed. Fifty-four percent said they would pay more in taxes to bankroll pre-K. But only 30 percent said they would support pre-K spending if it came at the expense of other education programs. Taxes and the budget. A strong majority of respondents, 68 percent, said the level of Idaho’s taxes are about right. A plurality, 43 percent, said the size of the state budget should remain roughly the same. The state of the state. 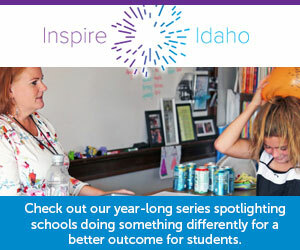 While respondents are lukewarm about Idaho schools, their prevailing mood is positive. Fifty-nine percent of respondents said the state is heading in the right direction. The economy tends to be a driving factor in this type of overview question, and Idahoans are generally upbeat about the state’s economy, Lyons said. Boise State conducted the survey from Dec. 10 to Jan. 8, contacting 1,004 Idahoans on cell phones and landlines. The survey has a 3.1 percent margin for error. Open forums are planned for students, faculty, staff, and the public to meet and hear from the candidates. There will also be an online portal available to provide feedback. Elena Gallina, a Boise State University graduate, is a 2019 recipient of the oldest and most prestigious international academic award available to Americans.